When you're trying to decide how therapy can help you with anxiety, trauma or PTSD, you may have come across EMDR or Eye Movement Desensitization and Reprocessing. But even when you read about the research supporting it's effectiveness in treating trauma, or read descriptions of what it is, you're probably still left with some questions. That's because EMDR is very different from other forms of psychotherapy. What kinds of issues is EMDR used to treat? EMDR was originally developed by psychologist Francine Shapiro in the 1980s to treat the effects of trauma, and is best known for relieving the symptoms of PTSD. Research is also showing EMDR to be effective in treating anxiety, panic, and fears connected to trauma. How is EMDR different from other kinds of therapy? One of the things that many of my clients like about EMDR therapy is that there is a lot less talking about disturbing things that have happened to you. As you prepare for the part of EMDR that focuses on particular memories connected to the trauma, you'll develop a timeline of incidents. But it's not necessary to give details about these experiences. Instead, you'll be asked how the event has affected you and what you notice about your emotions, your behavior, your body, and what you think or believe about yourself. If you're not certain what you current symptoms or problems stem from, you'll begin by focusing on current situations that are distressing and that you want to change. How does EMDR address disturbing memories? Body Sensations- How your body responds to the memory. 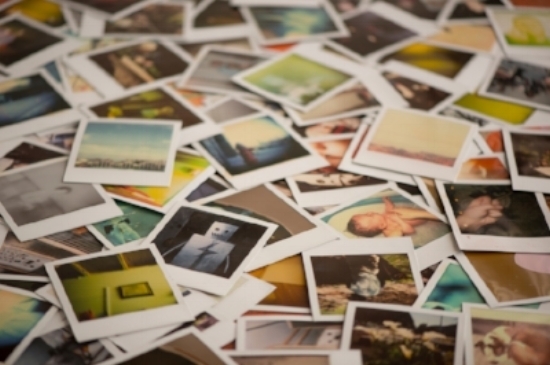 Images that come to mind- memories of trauma are stored with mental pictures of what you experienced. Emotions-how you feel emotionally when you think of a disturbing memory. What does bi-lateral stimulation mean? The thing that sounds the strangest about EMDR is the use of bi-lateral stimulation. Bi-lateral stimulation simply refers to right to left movements. Originally, this was done by following the therapist’s fingers with your eyes back and forth from left to right, repeatedly. Other types of bi-lateral stimulation are now used, including wearing earphones and listening to sounds that alternate from your right to your left ear; and “tapping”, which can be done by lightly tapping the sides of your legs or shoulders, or by holding small pulsers that alternate between your right and left hand. (This is NOT an electric shock, it is a vibration similar to a cell phone on “silent.”). EMDR has been extensively researched for the past 20+ years and has been found to be effective in treating trauma and PTSD. There are numerous studies supporting it's success in helping people find relief from the effects of trauma. If you'd like to know more about EMDR research, check out the resources below. What if I don't want to stay focused on my past? EMDR doesn't just focus on the past. EMDR work in therapy helps you review and repair how you've been traumatized and hurt in the past. EMDR therapy also addresses current situations that are causing symptoms and distress, as well as future situations that you may face. EMDR helps you build up your resilience and strengths to take on the current challenges in your life, and plan for how to address concerns about and hopes for future situations. What is Attachment-Focusd EMDR therapy? I'm trained in Attachment-Focused EMDR, developed for the treatment of early and/or severe childhood trauma. This approach recognizes how our earliest relationships effect an individual's relationship with self and others. As an Attachment Focused EMDR therapist, I recognize my relationship with my clients as a necessary part of repairing and healing from trauma. My work is client centered, personalizing therapy to the unique needs and experiences of each person. Attachment Focused EMDR combines processes to enhance individual strengths; using EMDR to process trauma; and traditional talk therapy to help integrate what is learned in EMDR sessions.